A very popular topic of conversation is the politics and ethical choices within the debate about abortion. It is a large controversy worldwide, and almost everyone has a stance on the subject or at least knows about it. This debate is so widely known and opinions differ across genders, races, political parties, states, etc. Here at Pennridge High School we have a club that chose to take a stand within the controversy. 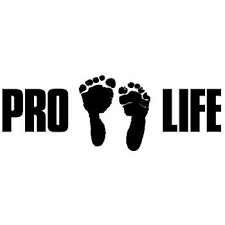 The Students For Life club here at Pennridge High School is a club organized in favor of the Pro-Life stance. It was started 4 years ago by senior Robert Bollinger, who is now in the seminary to become a Catholic priest. The club’s advisor is Mr. Barry, who holds a neutral position as a teacher that is needed for the club to be allowed. Braya Markley, a senior at Pennridge High School, is the current president of the club and has been since her sophomore year. Since she became president, she said “we have participated in baby supply drives for local crisis pregnancy centers, attended the annual March for Life in Washington, D.C., hosted several pro-life speakers, and participated in service projects where we did yard work, or taught new mothers in crisis centers how to properly feed and care for their babies and themselves”. It is very inspiring and impressive that a student-originated club at a high school has been able to take such a powerful role and stand within such a large-scale debate. The club has obviously been questioned and many wonder why there isn’t a Pro-Choice club option. The answer is simply because, nobody has stepped forward to initiate it. Another senior at Pennridge, Julia Ogilive, said “I would 100% advocate for pro-choice and I think a club for pro-choice should become a thing”. For now, it is a waiting game to see if, and when, someone steps forward to initiate a club for the opposing side of this controversy. No matter what someone’s opinion is on the matter of abortion, it is still remarkable that teenagers have been able to step forward and take this initiative for their beliefs. Braya Markley is very proud, and rightfully so, of the work they have done. “I love the passion that people have for the cause, it’s super inspiring to see young people standing up for what they believe in”. As members of the pennridge community, we should all be proud no matter your opinion in the matter. Clubs like this are what help students grow into responsible people who make a difference. The club does stand for pro-life, but what these students are doing goes beyond that. They have learned the importance of standing up for what they believe in and the importance of helping others in their time of need. I hope that a pro-choice club is made, not because of political opinion or stance, but because it will give more students the same opportunities and lessons that the Students for life club has given people like Braya.